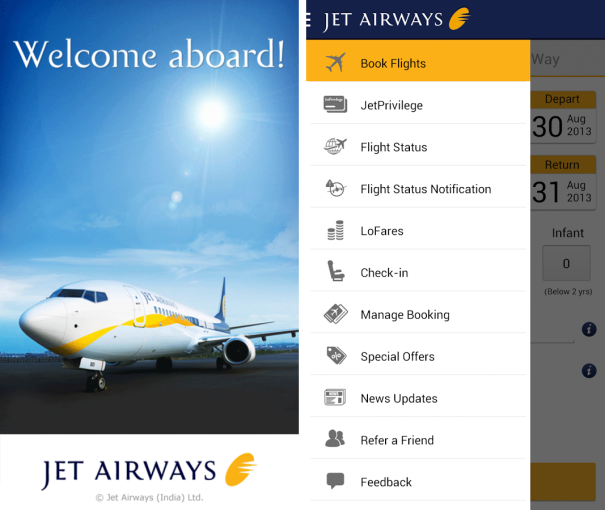 The renowned Indian airline, Jet Airways launches its official Android app in Google Play. The application will be available for free and will include features like flight ticket booking, flight status check and flight notifications. Users too, will be able to enrol in or access JetPrivilege account directly from the app. Though a few of the essential features like flight check-in is not working properly right now, we hope it will be added sooner. Other than Jet, only Indigo seems to offer official Android app among Indian airlines.